I made this gift box birthday cake for a teacher at Wind in the Willows preschool who bid on one of the cakes I donated for their auction dinner. The teacher wanted something with chocolate and lemon so I made a chocolate chiffon cake with lemon mousse filling and chocolate frosting. 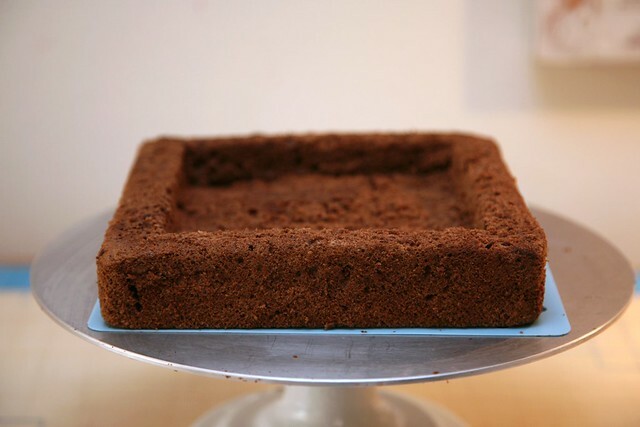 I tried out a new technique for the mousse filling by making a square cavity in the middle of the cake. 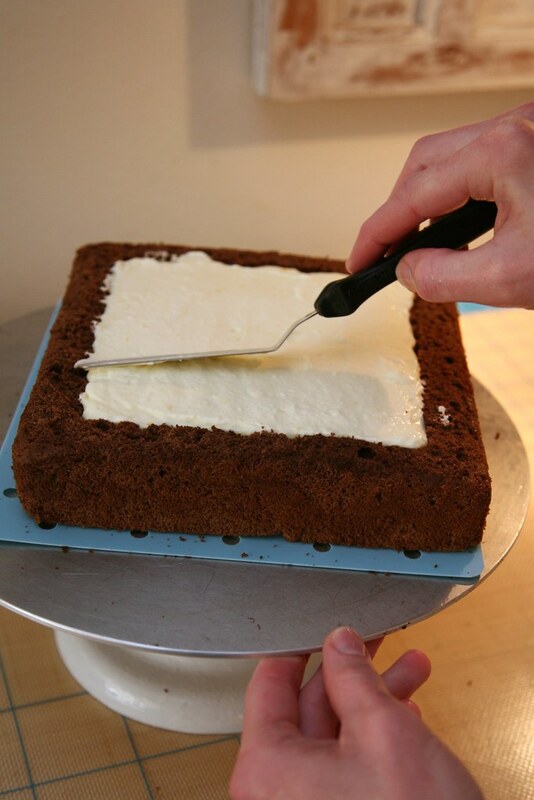 This way the mousse wouldn't be weighed down by the top layer of the cake. 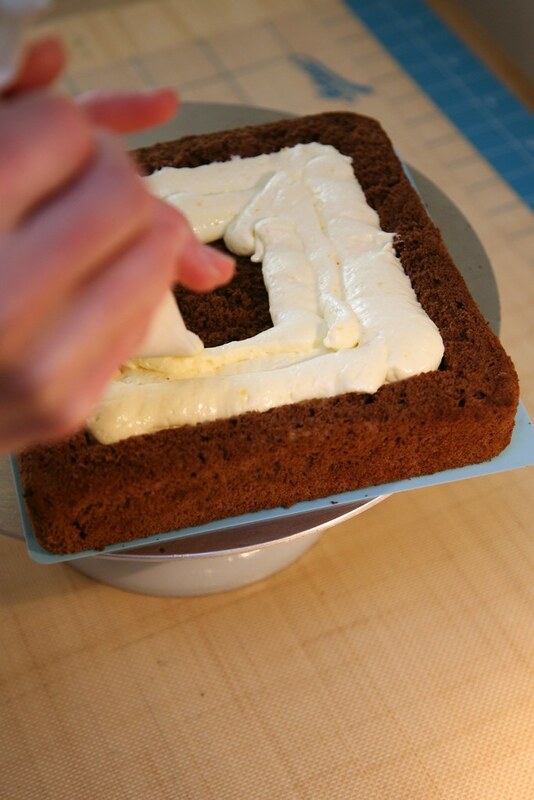 I neatly piped the lemon mousse into the center cavity. Smoothed it over with an offset spatula. 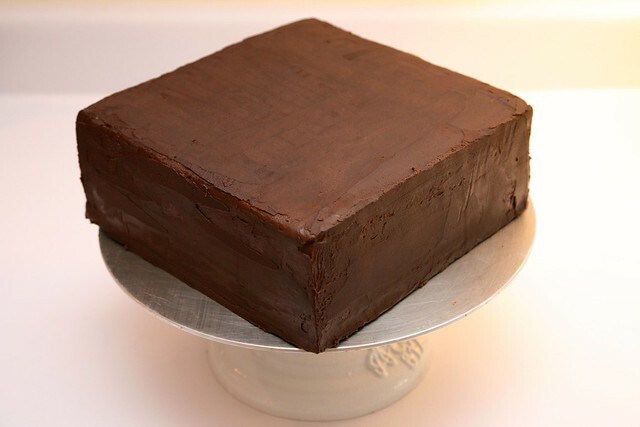 I piped on some chocolate frosting around the edge to glue the top and bottom pieces of cake together. 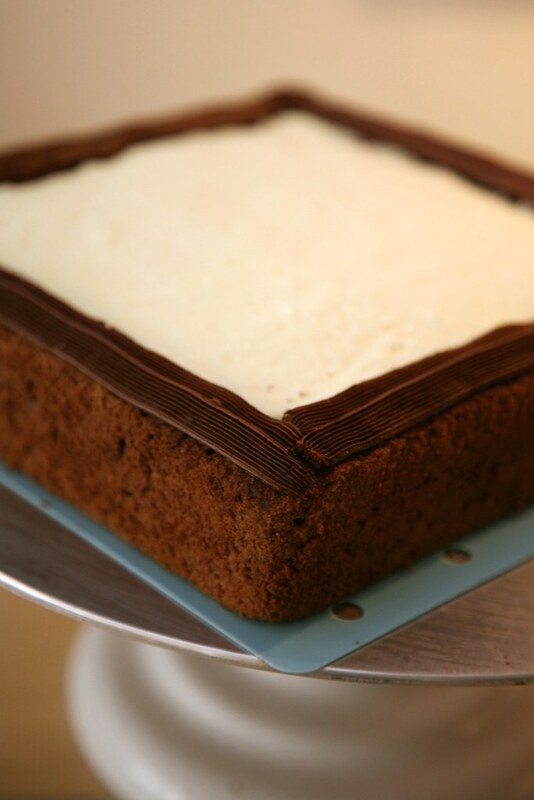 I put the top of the cake on and filled in the side cracks with some more chocolate frosting. Then I covered it liberally in chocolate frosting. 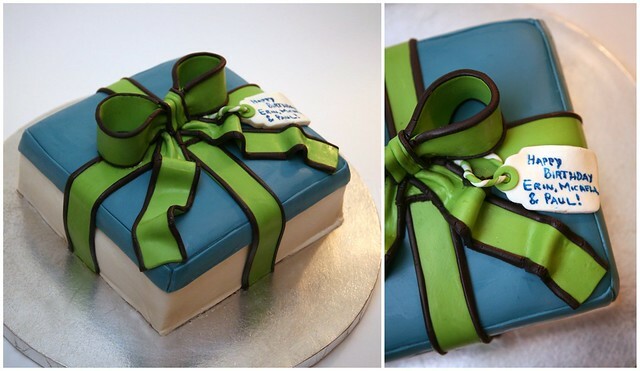 For the final decoration, I covered the whole cake with white marshmallow fondant, topped with an aquamarine gift box lid and wrapped in a kelly green ribbon with eggplant trim, both made out of fondant. 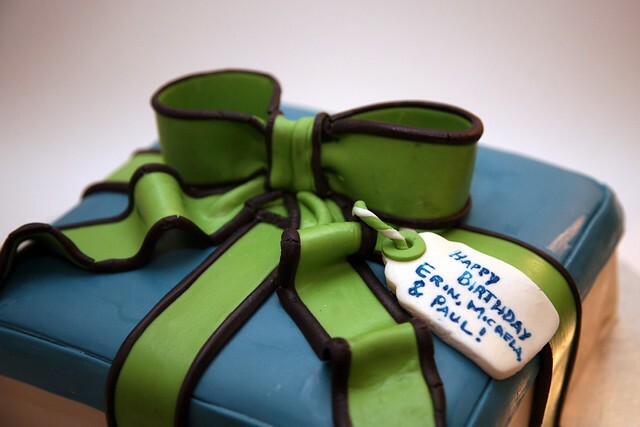 Finally, for the Happy Birthday message, I wrote it on a gift tag with edible food markers and tied it to the ribbon.